The BeatBuddy Footswitch Plus helps you get the most out of your BeatBuddy or BeatBuddy Mini: it’s easy to add accent hits, drum breaks (pauses), tap tempo, scroll through songs, and more… all hands-free, and with just the tap of a foot! Featuring barefoot-ready ergonomic momentary buttons and a strong metal casing, the BeatBuddy Footswitch Plus is designed to withstand heavy use and provide rock-solid performance. 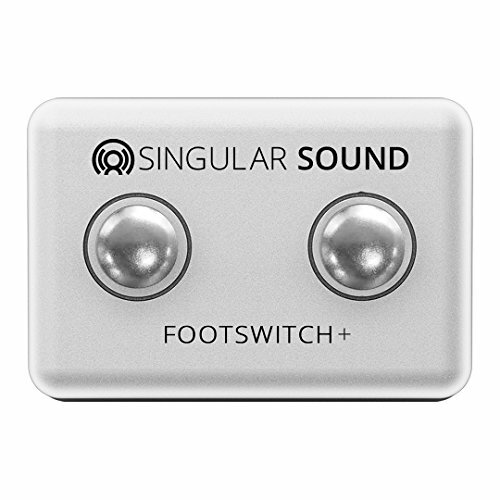 If you have any questions about this product by Singular Sound, contact us by completing and submitting the form below. If you are looking for a specif part number, please include it with your message.